The ultimate relaxation destination in your living room or bedroom with modern design and practical usability. 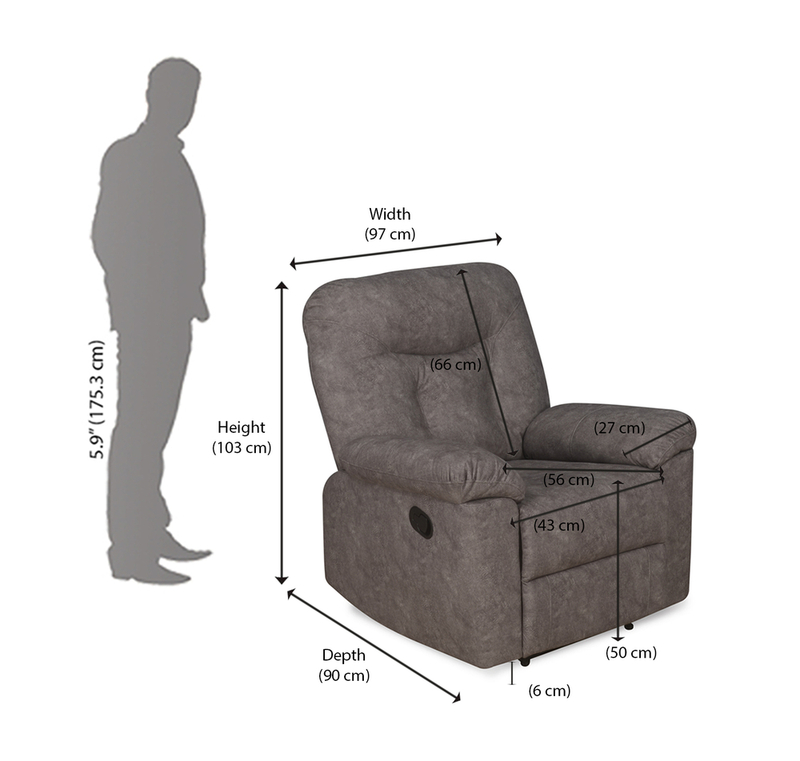 Cozy up in the Single Seater Winter's Sofa recliner to read a book or watch TV. With its plush polyester upholstery and adding to its stylish and sleek look are its armrests. Comfortable on the back with puffy polyester fabric makes it an ideal sofa to catch up on a quick nap. Be it the weekends or weekdays, the sofa recliner is a divine paradise to own in your home.